The types of applications automatic number plate recognition (ANPR) can be used has increased and so has the range of offered functionalities. Advances in video analytics and processing power used in modern ANPR devices are reshaping the market. According to the latest research by IHS Markit, the global market revenues from sales of intelligent ANPR devices are forecast to reach $800 million by 2022 and increase at a compound annual growth rate of 16.4 percent. Speed enforcement devices can now offer more functions than ever before, such as seatbelt detection in vehicles and helmet detection for motorcyclists. The more advanced algorithms used in these devices rely on machine learning and deep-learning techniques to analyse recorded images for seatbelt or helmet presence. This recognition process is very complex, because the ANPR camera needs, for example, to differentiate the image of the seatbelt within an image with a lot of background noise, such as light reflections from the car windshield and shading and obstructed views caused by a driver using a sun visor. The advanced algorithms allow for real-time accurate object detection. Helmet detection and seatbelt detection have helped to transform speed enforcement devices into multi-function devices that improve the task efficiency of law enforcement agencies. Detection of dangerous driving, which can tell whether a car is tailgating an emergency vehicle or whether it is driving between two lanes of traffic, is another important add-on feature enabled by analytics powered with artificial intelligence (AI). Red light enforcement is another key ANPR application that has benefitted greatly from advances in analytics. Traditionally there was a need for two separate devices to be deployed in one location – one to read the licence plate of the car and another to record the red light. Modern devices with improved analytics are increasingly able to perform both tasks with a single device, which helps lower system cost and speed up the ticket processing for violations. ANPR devices are now more likely to have analytics deployed on the camera. They do not require back-office processing software to perform their functions, which reduces the overall system set-up costs and lowers adoption barriers across many industries. Processing power improvements have allowed ANPR devices to become much more compact, further simplifying installation. Advances in video analytics have had a big impact on modern ANPR solutions, which has led to increasing adoption in access control and parking applications, including at hotels, hospitals and airports. These advances allow hotel chains, for example, to offer free parking to their guests at all associated hotels, not just the one where the guest is booked for their stay. Despite the great promise of advanced analytics, regulatory and practical considerations are the two main barriers to broader adoption of ANPR systems. On the regulatory level, concerns over privacy will play an important role. As ANPR systems gather more data across industries, and additional devices are deployed in more locations than ever, the concerns over privacy of vehicle drivers run high. People are questioning why ANPR images are being recorded, as well as where they are stored and how secure they are. These concerns will have to be proactively addressed by manufacturers and installers alike, to help prevent a public backlash against these technologies. On the practical level, the biggest barrier to adoption is still system cost. In countries where labor costs are quite low and the concepts of smart cities are not very well developed, the law enforcement agencies may prefer to continue conducting manual checks. Private businesses might not be willing to invest in training their staff in how to operate ANPR devices. Advanced analytics are transforming ANPR devices into multi-purpose detection systems, which fit very well with the concept of safe cities and smart cities, despite many other competitive technologies at the core of these systems. The next stage for ANPR systems is to integrate facial recognition with number-plate recognition. 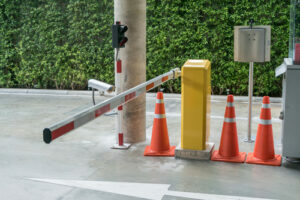 While these two functions have already been combined in some access control applications, the detection is still performed by two separate cameras, mostly due to installation angles and other practical factors. However, in the future, improvements in camera features and analytical algorithms could open the door to these two features combined into one single system, which would greatly improve the investigative capabilities of these devices.